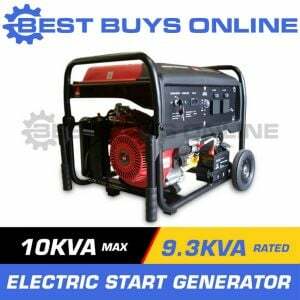 Product Details : The GEN10000ES is a 9000w generator with a 15hp 4 stroke air-cooled engine. 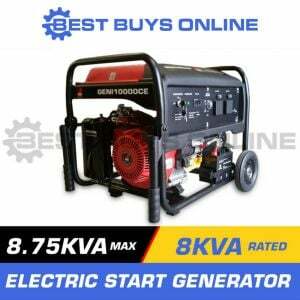 It is fitted with 3 x 240v (15amp) outlets and is designed to meet Australian standards. 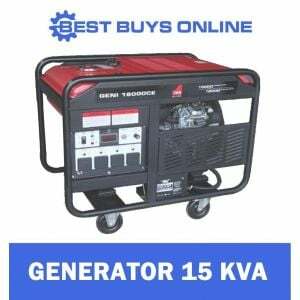 When purchasing a generator, keep in mind that some electrical appliances with an induction motor require more power at the start before running a their continuous power requirement. This machine has high quality copper windings in the alternator making it a much better choice for heavy duty or continuous applications then Aluminium windings; together with the proven performance of the Millers Falls engine makes this the perfect choice when comparing performance, reliability and price. 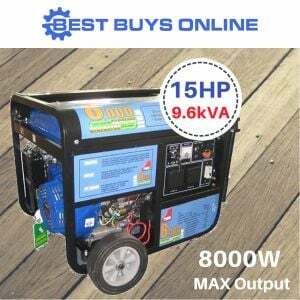 Product Applications: This unit is ideal for farms, building/construction sites, remote areas, or those areas where a constant electrical supply is not available. Product Assembly: A low level of assembly is required.